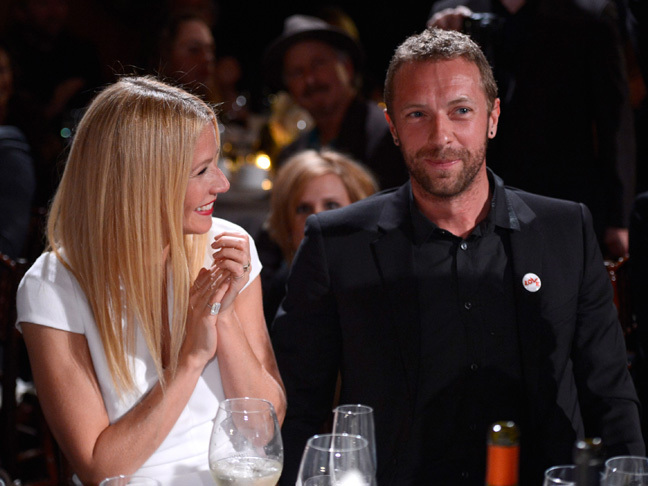 Should Gwyneth Paltrow & Chris Martin Have Stayed Married? Even though Gwyneth Paltrow insists that she and Chris Martin are tight — despite consciously uncoupling last March — she admits that she sometimes wonders whether splitting up was the right move. Her confession comes in an interview that she did for the February 2015 issue of Harper’s Bazaar U.K. The controversial actress and Coldplay frontman, 37, have become neighbors in LA since splitting, according to US Weekly, with Martin moving across the street. The parents of Apple, 10, and son Moses, 8, even reportedly shared the holidays together.